I don't normally keep track of what I have in kitchen. That explain why I always end up throwing most of the ingredients instead of utilising them for meals. Just the other day I was looking up and down for Italian Herbs for baked butternut squash only to discover I really run out of herbs. I wouldn't mind running out to buy in summer. I definitely wouldn't in this weather. Who likes running errand in dark? 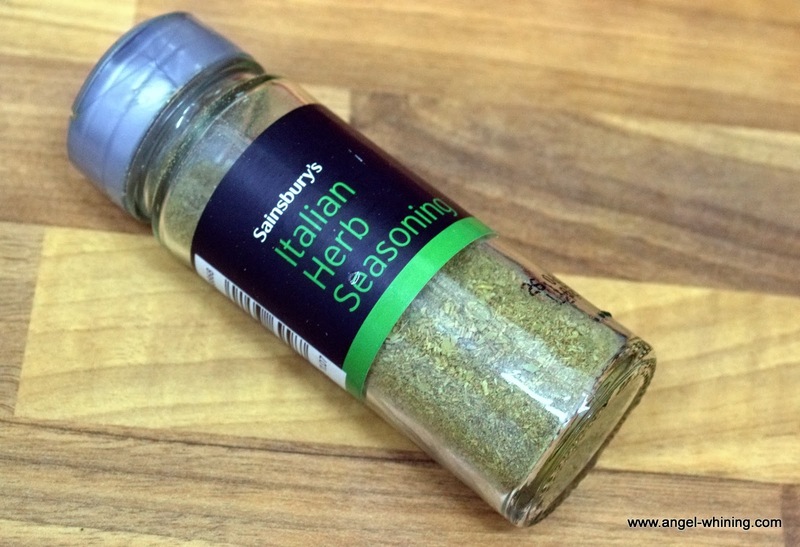 Please note that this is my own version of Italian herbs. It is not Sainsbury's formula. I am just recyling the bottle.